Brooklyn has Dutch colonists to thank for its name. 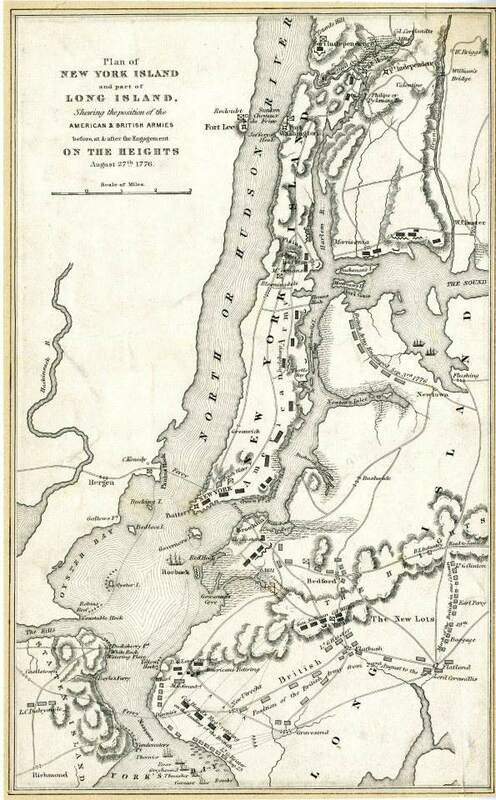 In the mid-1600s, Brooklyn consisted of six separate Dutch towns, each chartered by the Dutch West India Company. One of these towns, settled in 1646, was Breuckelen, named after a village in the ​Netherlands. The English gained control of the area in 1664, and the name "Breuckelen" was eventually anglicized, becoming the "Brooklyn" that we know and live in today. Brooklyn was also referred to as Bruijkleen, Broucklyn, Brooklyn and many other spellings on old maps and records. The book, Brooklyn By Name: How the Neighborhoods, Streets, Parks, Bridges and More Got Their Names by Leonard Benardo and Jennifer Weiss, is a great resource for Brooklyn History and how Brooklyn got its name. Brooklyn is also home to many neighborhoods that all have a story behind their name. From older neighborhoods that were named after Dutch settlers to newer industrialized areas turned residential named after their geographical locations like Dumbo, which stands for Down Under the Manhattan Bridge Overpass, Brooklyn's history as diverse as the neighborhoods. Brooklyn is rich with history and is home to a fantastic historical society, visitors might spend their days walking across the Brooklyn Bridge and eating a slice of Brooklyn pizza from the many pizza parlors throughout the borough, but if they want to get an in-depth look at the history of Brooklyn, they should visit the Brooklyn Historical Society, where they will learn more about the stories behind Brooklyn's name and the many other neighborhoods throughout this unique borough. With Brooklyn becoming increasingly popular, Brooklyn is also becoming a popular name for children.